A ring overflowing with boho style! 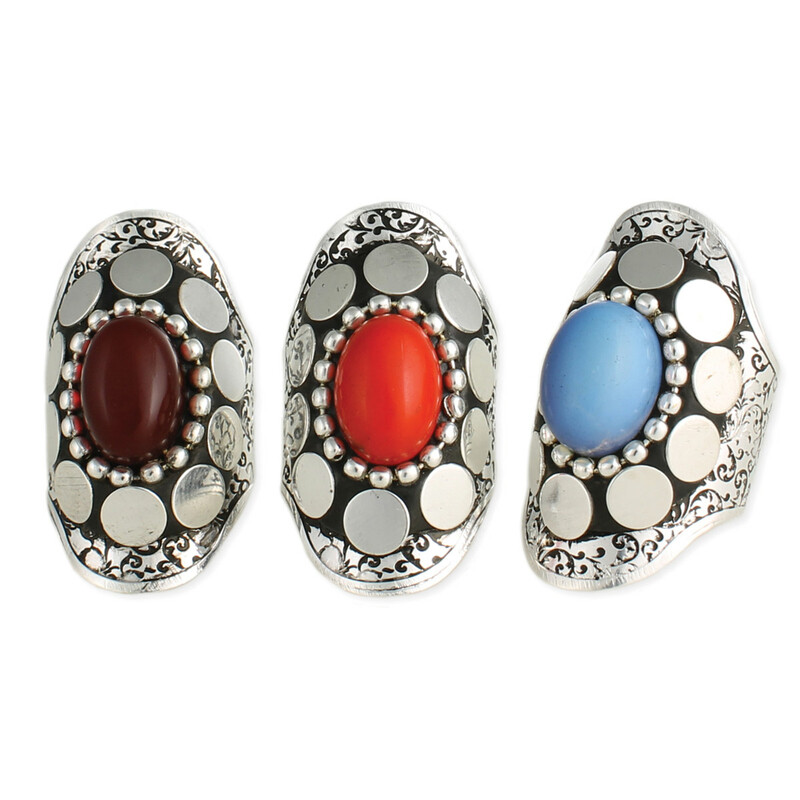 This wide silver ring features a hammered design with shaped borders around a striking oval stone. Brimming with gypsy charm, this is the perfect ring to accentuate your unique style!